Corporate design created for a marketing company started in Hardys Bay, Australia. In this part of Australia, the Yum Yum tree is where locals gather to network. 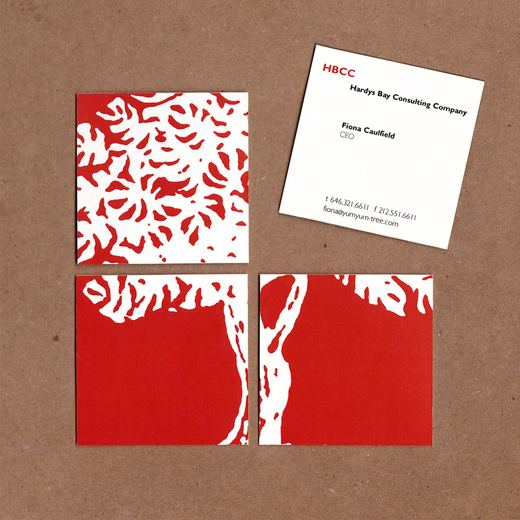 All four principals at the company had a different part of the tree on the back of their business cards which, when put together, formed the whole picture. By engaging with this business, your business was sure to grow.